We have the raddest friends. Hands down. 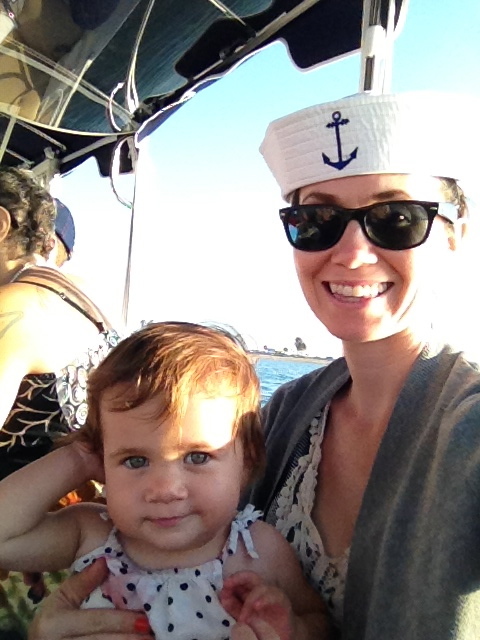 Karen, Mark and Henry took us boating this past Sunday around the Long Beach Marina in Karen's mom's new Duffy boat! It was a perfect warm evening for cruising around the water with excellent company, drinks, and snacks. We were super tired driving over to the marina, having gotten back from our camping adventure that morning, but as soon as we got out there on the water and had the ocean breeze in our faces and cold beers in our hands, all was right in the world. Can't wait to go again! The littles have to be in life vests out in the boat, and Elsa's engulfed her. She was okay wearing it for a few minutes but got pissed once she realized it was inhibiting her movement so we broke the law and took her out, but had a death grip on her the rest of the time. Plus Kim swore that she would be the first in the water to rescue one of our overboard kids. Karen got us these cute sailor hats that saved my bangs from looking crazy. Sunset cruises are the best. It's a memory I'll always have of summertime in Long Beach. I didn't realize before, but apparently anyone is allowed to drive a Duffy boat. No boating license required, so the boys traded off captaining. Even Henry got in on the driving! If Kim would be the first in the water after an overboard Elsa, Henry would be a close second. He was glued to her for almost the whole boat ride. They're buddies. 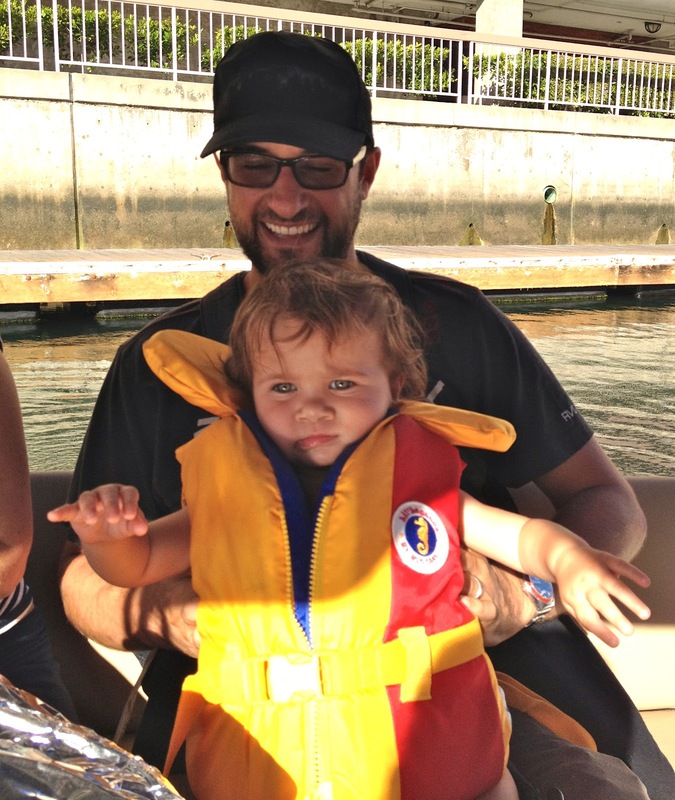 It was hard holding E in her puffy little life vest. She started to melt down so we tried to distract her with kisses and strawberries, which worked for a few minutes. These are mostly Karen's pictures btw. Again, our family photographer.